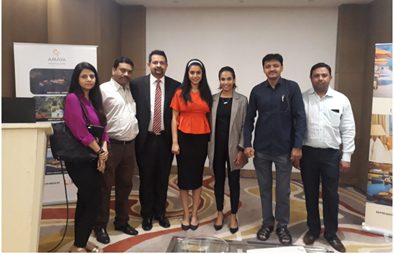 The Kingsbury Hotel Colombo & Amaya Resorts and Spas, conducted its 4-city roadshow in India, with Mumbai being the first city. After Mumbai, the workshop was held in Ahmedabad, New Delhi, & Chandigarh. Stakeholders, travel agents & policy makers attended the product presentation, which was curated specifically for the Indian market. According to the Sri Lanka Tourism Development Authority (SLTDA), India continued to be Sri Lanka's top source of tourists with 384,628 arrivals (up 7.8 per cent) in 2017. On the other hand, Indian tourist visits had reached 83,019 by end of December 2017, according to the Maldivian Tourism Ministry.